Winnie Hu in her New York Times article, "Bullying Law Puts New Jersey Schools on [the] Spot", reports, "Under a new state law in New Jersey, lunch-line bullies in the East Hanover schools can be reported to the police by their classmates this fall through anonymous tips to the Crimestoppers hot line." The law is called the Anti-Bullying Bill of Rights. But whose rights does it protect? According to Winnie, "In Elizabeth, children, including kindergartners, will spend six class periods learning, among other things, the difference between telling and tattling. And at North Hunterdon High School, students will be told that there is no such thing as an innocent bystander when it comes to bullying: if they see it, they have a responsibility to try to stop it." Winnie goes on to say that this puts an unfunded mandate on New Jersey schools. So more money is needed to investigate those who bully. Another reason to increase public school funding magically appears right before our eyes. She totally misses the big picture. What Winnie misses is just what concerns many parents, teachers and school based administrators about this onerous law. The Anti-Bulling Bill of Rights infringes upon the first Ten Amendments to our Constitution. The law goes overboard by crminializing something that is normal and common. Children expressing their opinions about other children. It puts into the hands of an "antibullying specialist" the requirement to investigate complaints. Is this a new layer of law enforcement? As Richard G. Bozza, executive director of the New Jersey Association of School Administrators, said. “I think this has gone well overboard. Now we have to police the community 24 hours a day." 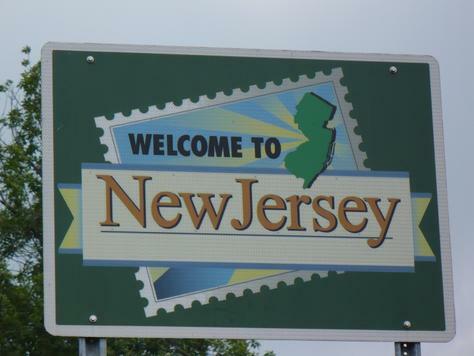 New Jersey has now outlawed what exactly - having an opinion? What is the legal definition of bullying? What if one child passes along a opinion about another child? Who has violated the law? The child who initially stated the opinion or the child (or children) who pass it along? What if a child disagrees with another child about something? Is saying they disagree with their classmate constitute bullying? 1. A child states that another child is in the school is an illegal alien and reports that fact to other students. Congress has passed legislation making illegal immigration a crime. Is the child bullying the illegal alien student? 2. What if a Muslim child says to a gay child that he disagrees with his classmate's life style because of his firm religious beliefs. Is that bullying? Or is that freedom of speech and freedom of religion? 3. Or how about a black child voicing an opinion about how a white child dresses or behaves around other minority students. Is that bullying? What about the reverse of each of these examples? This law begs so many questions that delve into the morals and behaviors of individual children without foundation. In public schools many children are too young to understand what they are expressing. Remember that old saying, "Out of the mouths of babes"? Sometimes children will, well, just be children and tell the truth that upsets another child. Is that criminal? What will parents now do if their child is faced with a crime and criminal record at the age of 6 years-old? On September 1, 2011 any child can now call the Crimestoppers hot line in New Jersey and snitch on another child. What if the snitch is found to be wrong? Will the snitch be then charged with bullying or bearing false witness or lying? 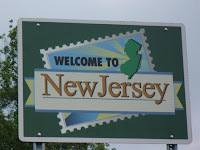 Do you see the dilemma and slippery slope New Jersey has created? When is a snitch a bully and when does a bully become a snitch in order to bully? Who makes that determination and based upon what? Bullying is not a crime unless and until it becomes violent. Then the perpetrator has committed a real crime - assault. Feel good laws like the New Jersey Anti-Bullying Bill or Rights always have serious unintended consequences. I fear this law will do much more harm than good to our most precious resource - our children. Let children be children. I see schools under this New Jersey law filled with those who will not express their opinions in the very places where the free exchange of ideas is paramount. This so-called Bill of Rights is actually a Bill of Oppressive Silence. Shades of the former Soviet Union and its network of informers.